If you have been looking for a long time friend or maybe someone you really need to talk to but you just can’t find how to contact them, then the solution might be right in front of you now. 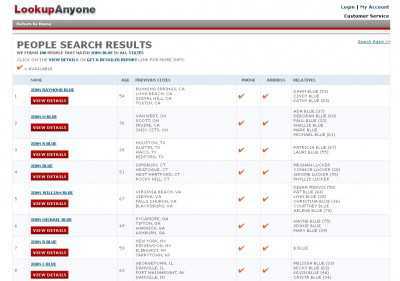 This site can look through people’s public records, and let you find everything about any person who is within the United States. LookupAnyone.com provides you with an easy-to-use system for locating people. You just have to provide what information you already have about that person (such as his fist name and last name, and his State of residence) and the site will gather the relevant information for you. 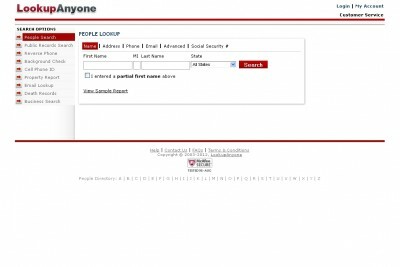 Alternatively, you can find people by phone number, e-mail, street address and social security number. You can even look people up by partial name. And if you just don’t know where the person lives, you can search all States at once. Additionally, the site comes with a property search feature, a tool for doing reverse searches and another for browsing through death records. And a business search is also available on the site, for young entrepreneurs to make professional connections much faster and easier. The services of LookUpAnyone.com are not free, with you having to pay a fee of about $5 to see full reports. But small samples can be seen at no cost.